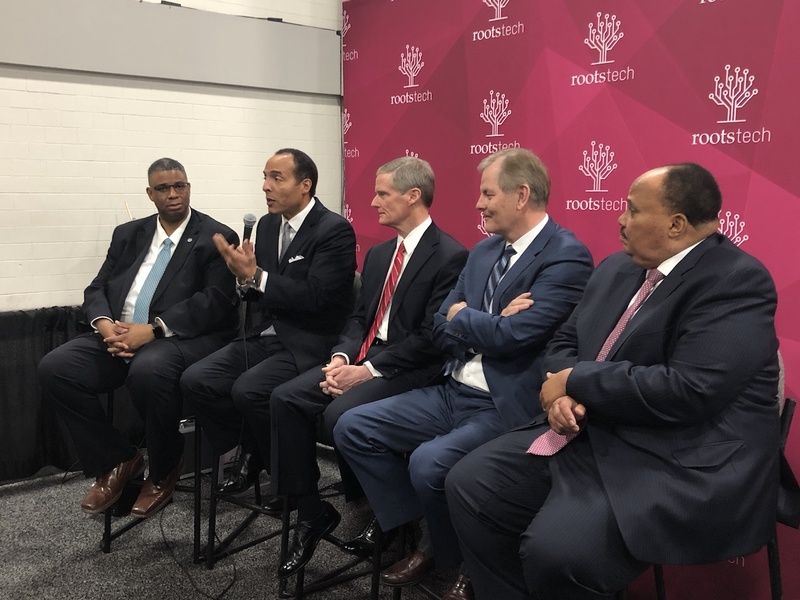 After the keynote, there was an opportunity to interview Thom Reed, Michael B. Moore, Elder David A. Bednar, Elder Gary E. Stevenson, and Martin Luther King III. In his keynote address, Steve Rockwood said what many of us know: “Family history is NOT a spectator sport. Nothing really happens until you act.” The focus this year was on healing that which needs healing within families. Steve Rockwood surprised many by inviting Elder David A. Bednar of The Church of Jesus Christ of Latter-day Saints to the stage to announce a $2 million contribution to the International African American Museum Center for Family History (@IAAMCFH) to be built in Charleston, South Carolina. Charleston is the port to which many enslaved people arrived. Construction for the Center will begin mid-2019 with an estimated completion date in 2021. Audience members laughed when Elder Bednar said that the Church no longer issues checks, but the electronic transfer would take place tomorrow. By now the transaction is history. Patricia Heaton graced the stage on Thursday with talk of family, Hollywood, and motherhood. The audience laughed when she shared how guests in parents’ home responded to her mother’s prayers at the dinner table. She also spoke of her perfect shoe size (6) and how she was sent to Milan as a shoe model. 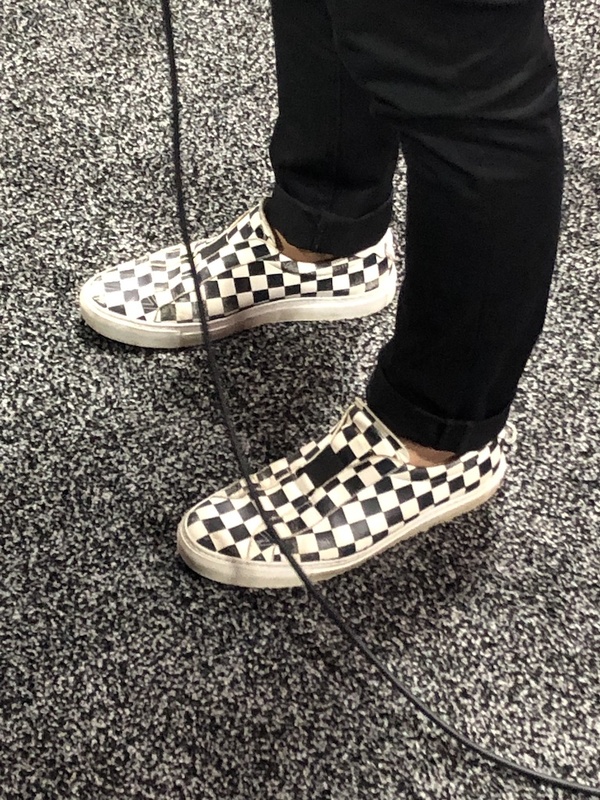 This many seem like a small insignificant piece of trivia but I noticed that on the heels of The Edge Effect, a shoe theme was being made manifest this year. The following day Saroo Brierley chronicled his miraculous journey for the RootsTech audience. I had the opportunity to participate in an interview with Saroo. I asked him about a book that I heard is being written about his two mothers. His face brightened as he spoke of Sue Brierley, his adoptive mum. She is in the process of writing this book. She kept detailed diaries of their family’s experience while he was growing up and he said that her story laid the foundation for his story. He hopes that the book will be released in about a year, but could provide no further information. Jake Shimabukuro speaks with his whole soul through his music and his shoes entertain me. He said that he only plays one ukulele at any given time rather than have many models. He discussed how an instrument needs to learn to respond to the artist and that this takes practice. Of Japanese descent, he mentioned in the interview that a television program wanted to discover his roots. A few months later the show came back and said that they could not find anything, although he knows the cities in Japan where the paper trail ends. 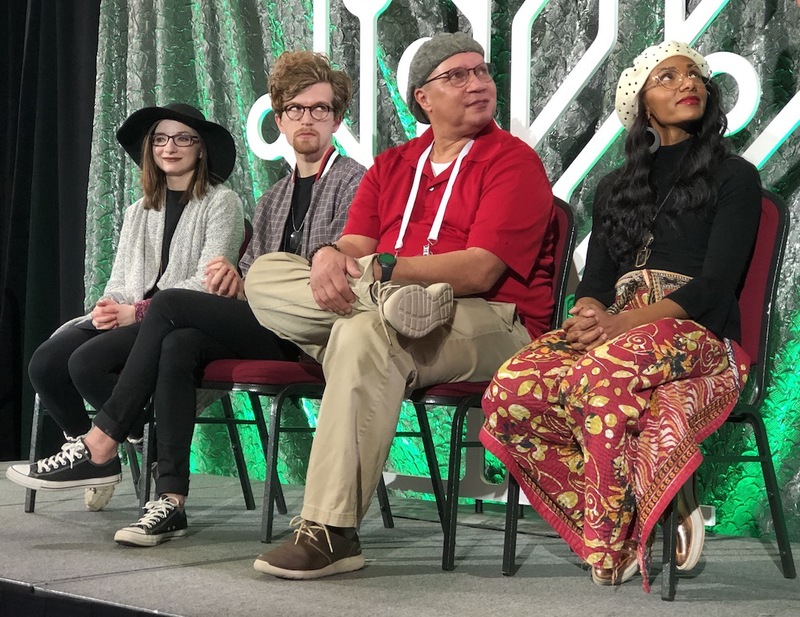 And for many participants, the sessions offered at RootsTech hold out hope for answers to scaling those brick walls encountered in pursuit of our family’s history. I statistically evaluated my own RootsTech attendance and discovered that I only made it to 42% of the sessions I selected. How about you? You can still download the syllabi from the RootsTech app. And not to disappoint fans, but the news at the conference is that the show will once again return to one season per year! Relative Race Season 5 begins Sunday, March 10th, but Season 6 may begin airing as late as Fall 2020. 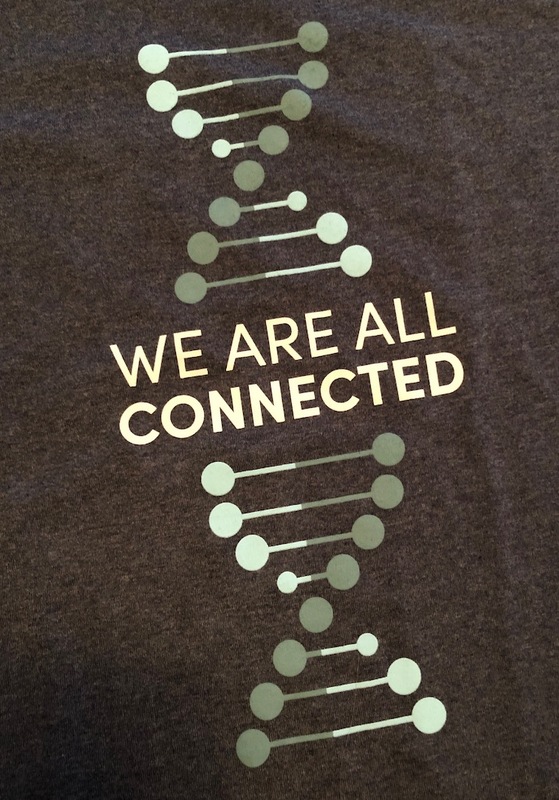 I’ve found that RootsTech brings together an international community of genealogists and family historians. Not only were all 50 of the United States represented, but 38 different countries. There is nowhere in the world like it! Visiting with others can be just as educational as attending a session. Nevertheless, I have already started watching the recorded sessions at RootsTech.org and the virtual pass is still available for purchase. 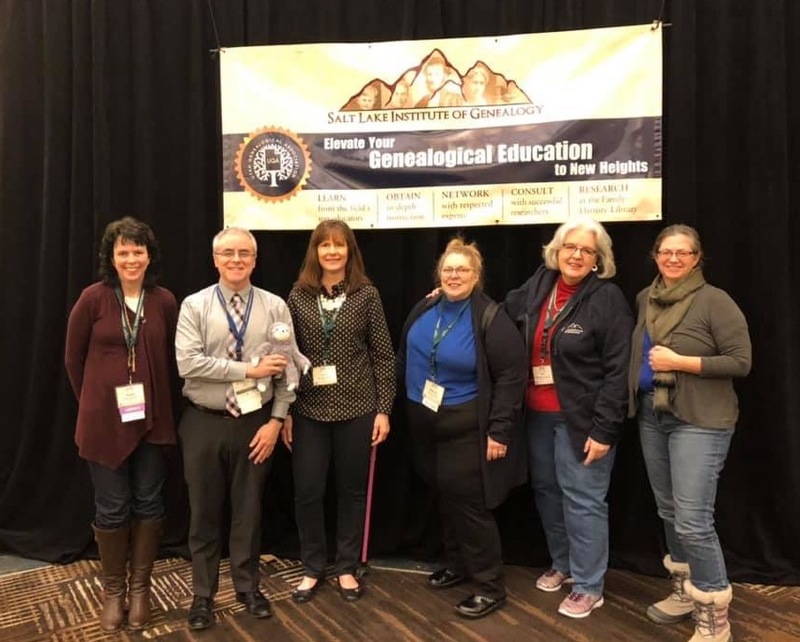 The field of family history and genealogy is synonymous with lifelong learning. Speaking of which, the DNA Learning Center was a popular choice for many participants. The purpose of the Center in the Expo Hall was to educate those in attendance about the basics of DNA. This opportunity was independent of any particular company and answered such questions as, “What types of DNA are tested for ancestry purposes?, What can I do with my DNA results?, and What in the world is a centimorgan (cM)?” This center was only a month in its planning. With such short notice and evident success, I think this is an element of the RootsTech conference that is here to stay. Connecting through music and dance was the theme of this year’s entertainment. 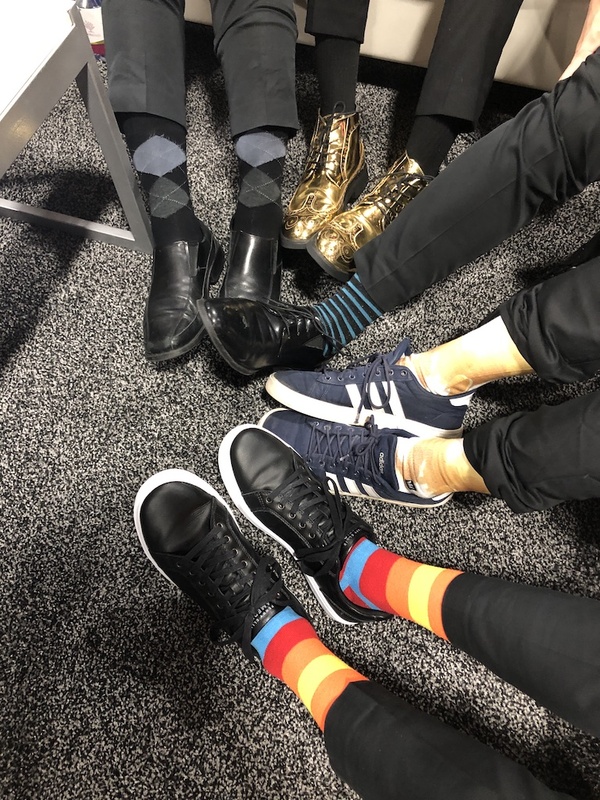 The Edge Effect’s excellent performance and DNA reveal, and Derek Hough performing with the award-winning BYU Ballroom team, provided tired minds with a little mental refreshment. If you happened to miss the performances, The Edge Effect was recorded during Wednesday’s session. 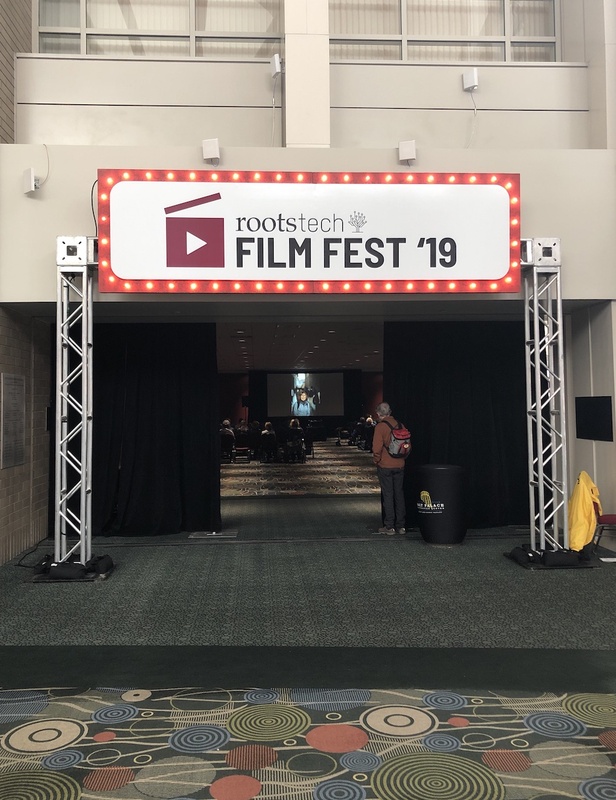 There were over 100 entries submitted to the RootsTech FilmFest in 3 categories: youth, amateur, and professional. 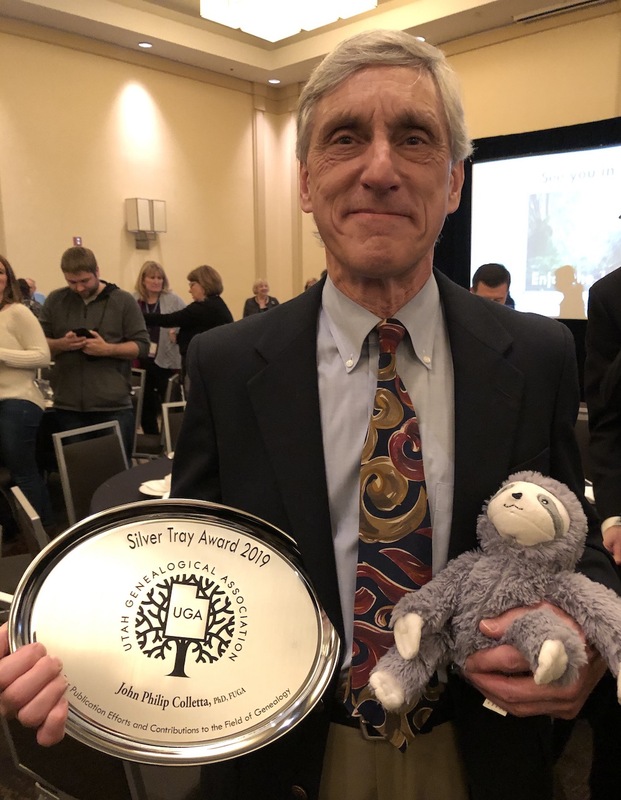 The prize winners have been announced, but the 12 finalists’ projects are available on RootsTechFilmFest.org. 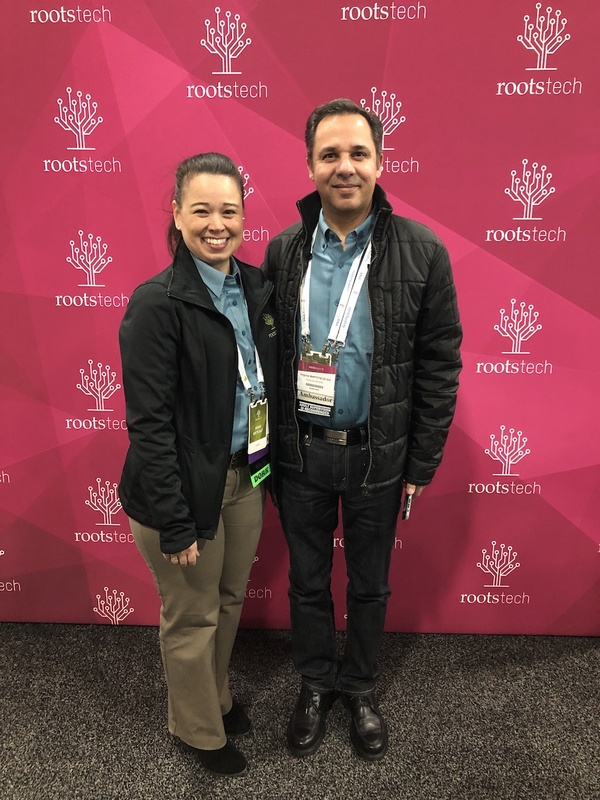 On the final day of the conference I had the opportunity to sit down with Jen Allen, Director of Events, about RootsTech 2019. It was interesting to have her compare and reflect on this year’s successes in light of last year’s fiascos. The introduction of PowerHour, larger rooms for sessions, no badge scanning—with the exception of labs and booths in the Expo Hall, increased the numbers of session per day, lunch for all participants on the first day when food services are not open for business, the Ask Me Anything Crew in turquoise, the Roots Crew in pink, and the DNA Basics Learning Center were all new. Even the keynote sessions were later in the day to allow participants the option of sleeping in rather than miss one pillar of the conference plan. Last year, she knew on day one what needed to change. This year she is satisfied from the initial feedback.The changes have been well received. 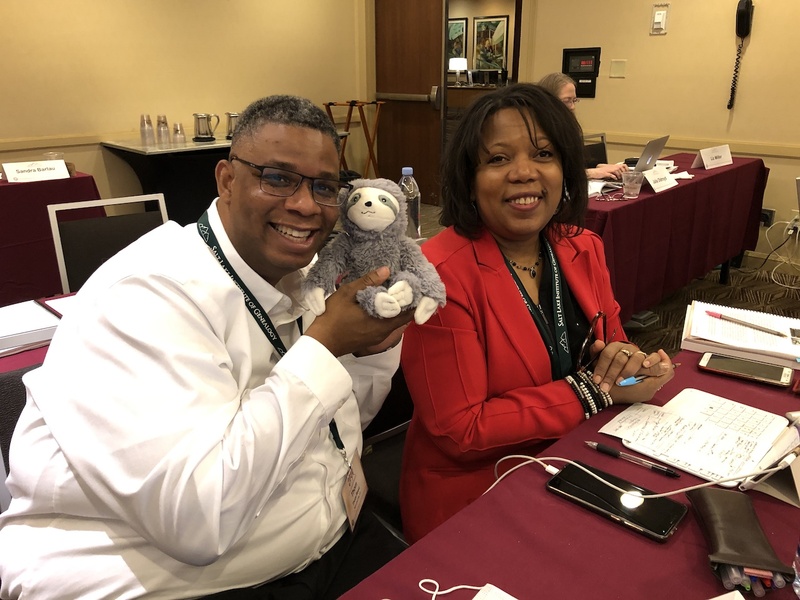 Nevertheless, the RootsTech team reviews every evaluation and it will only be after this exercise that decisions will be made about RootsTech 2020. So when you receive your survey, complete it and submit it. The team has proven that they listen. On a personal note, I would like to thank Amy Archibald who kept ambassadors up-to-date throughout the year. 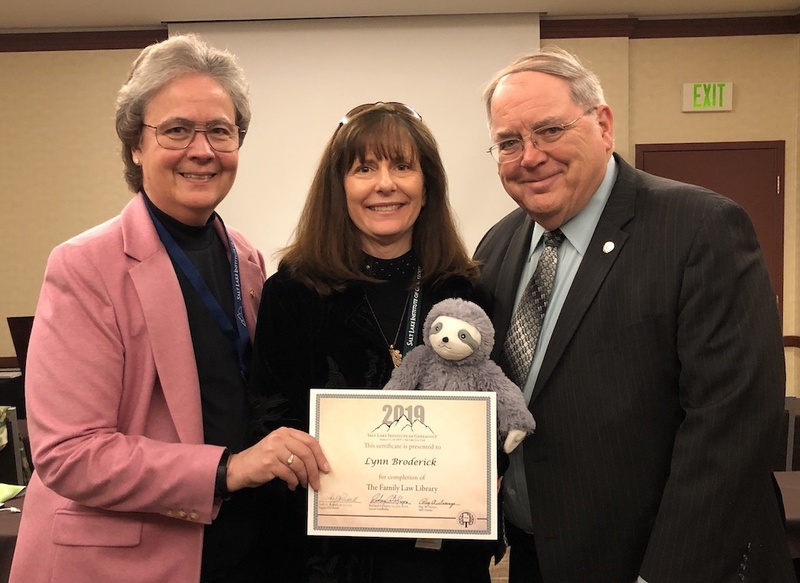 I would also like to thank Anne Metcalf and Virginio Baptista for all that they did to support the ambassadors in their respective duties during the conference. Anne continually provided timely updates and reminders concerning interviews. Virginio was there to film and photograph moments that may not have been captured otherwise. Thank you! You were awesome! Now it’s on to RootsTech London! It will be held October 24-26, 2019 at the ExCel Centre. This 3 day conference will feature 150 sessions, keynote speakers, the Expo Hall, and evening entertainment. Unlike Salt Lake City, RootsTech London will not offer lab classes or host a Family Discovery Day this year. Registration is now open! 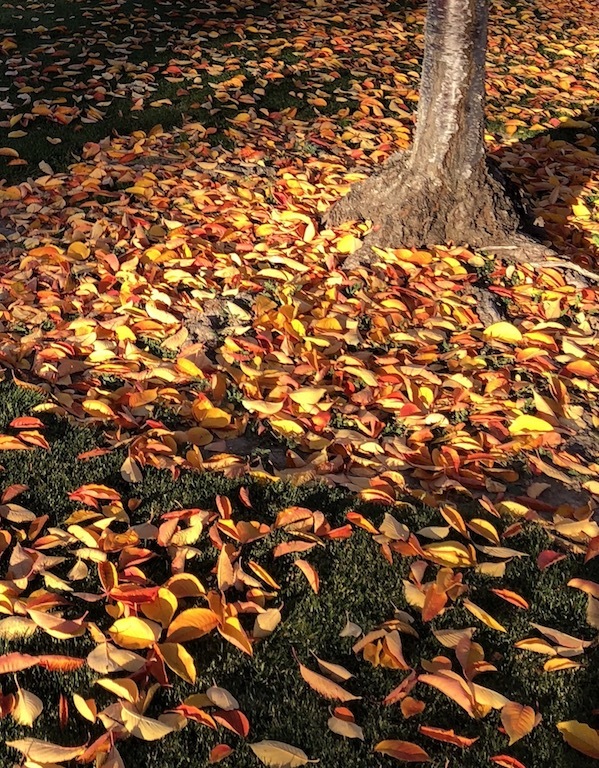 © 2019 Lynn Broderick, a.k.a., the Single Leaf. All Rights Reserved. 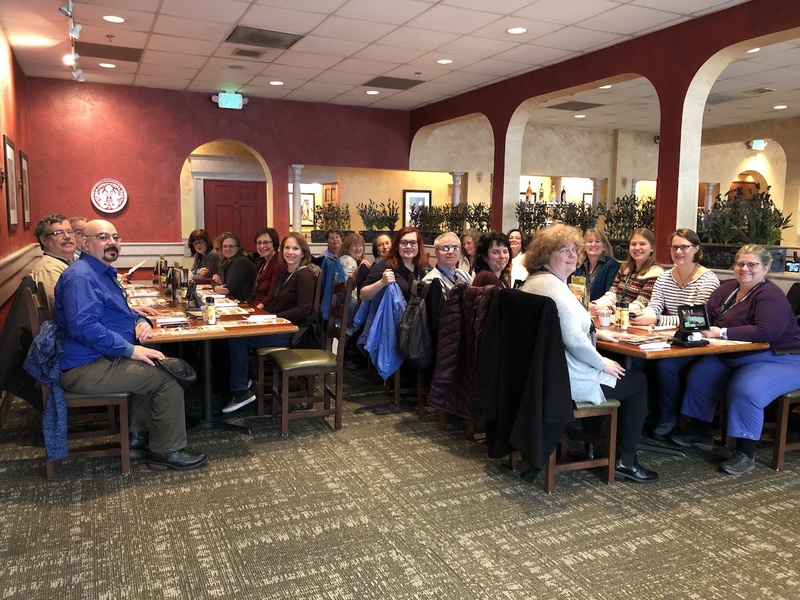 It’s a wrap for the Oscars and the premiere of RootsTech 2019! The Media Banquet was held last night at the Salt Palace Convention Center and it did not disappoint. Those who have been with RootsTech from its inception and those who are new this year joined together to listen to Jason Hewlett, emcee of RootsTech, Jen Allen, Director of Events, and Tom Gill, Vice President at FamilySearch. Check-in is a breeze this year—no lines anywhere! Individuals with turquoise t-shirts that boldly say “Ask Me Anything” are everywhere to direct you to the appropriate meeting place. The dinner was delicious and it provided an opportunity to visit with old friends and meet new ones. Relatives at RootsTech is back and Jason Hewlett demonstrated the unique features of this app. Integrated sections like All About Me, Record My Story, Picture My Heritage, and Compare-a-Face allow anyone to preserve family information and have fun with their ancestors on FamilyTree. Family Search encourages everyone to download the app or log in at FamilySearch.org/discovery. 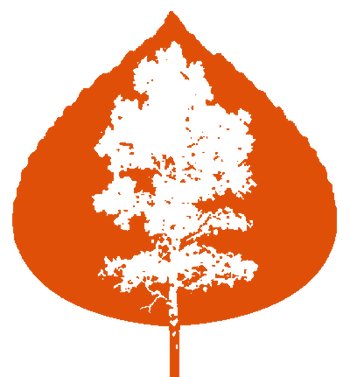 Two things to remember: the results are only as accurate as the input of data and the FamilySearch FamilyTree is a public tree for information on the deceased. FamilySearch does privatize information about the living. Nevertheless, never add an adult living person without his or her permission. Jen Allen shared one of her favorite submissions for the RootsTech Film Festival! There were over 100 submissions in the 3 categories. Winners will be announced each day with the Grand Prize winner being announced on Saturday. Tom Gill thanked everyone for being here at RootsTech. We had the opportunity to visit with everyone after the event. 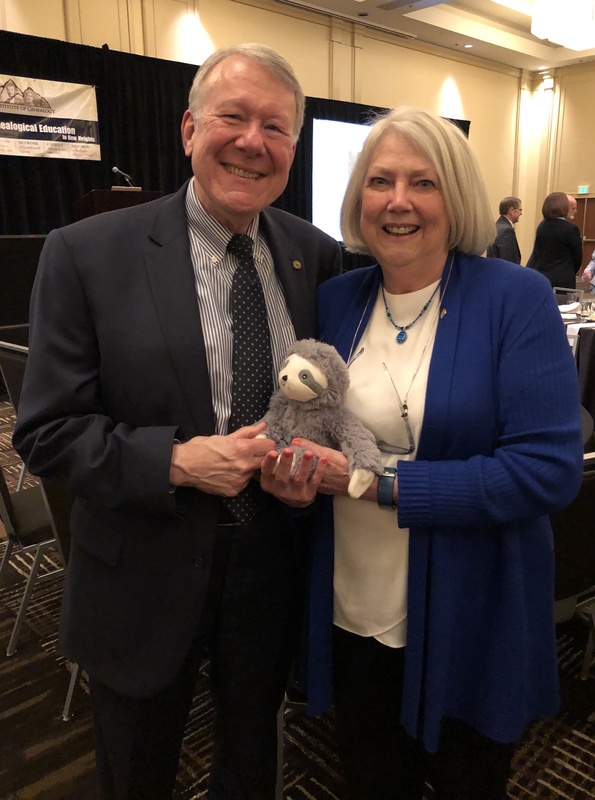 I caught Jen Baldwin, North America Data Licensing Manager at Findmypast, having a bit of fun with Else Churchhill, the genealogist at the Society of Genealogists in London, and others from the British Isles. Myko Clelland, the Family Historian & Licensing/Outreach Manager from Findmypast was hiding in that booth as well. 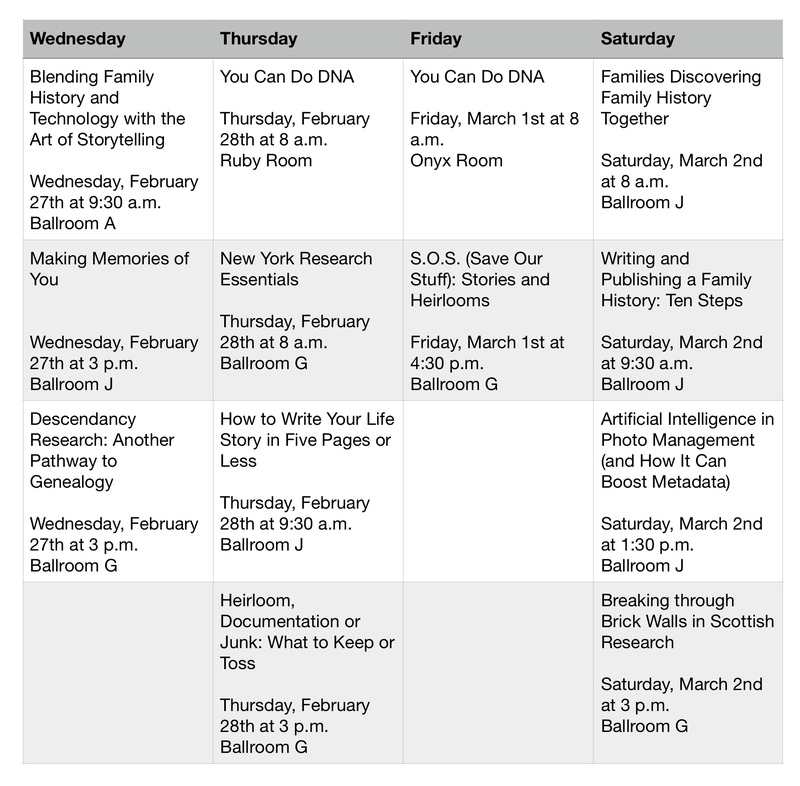 There is a lot to look forward to at RootsTech. Jen revealed that Steve Rockwood’s keynote will have key announcements so you won’t want to miss it! It will be live streamed at RootsTech.org. When I arrived at the Salt Palace Convention Center last night, Relative Race was on display. Relative Race has an interactive booth in the Expo Hall beginning tonight at 6 p.m. I learned from social media that Jerica and Joe Henline, Team Black from Season 4, will be in attendance. 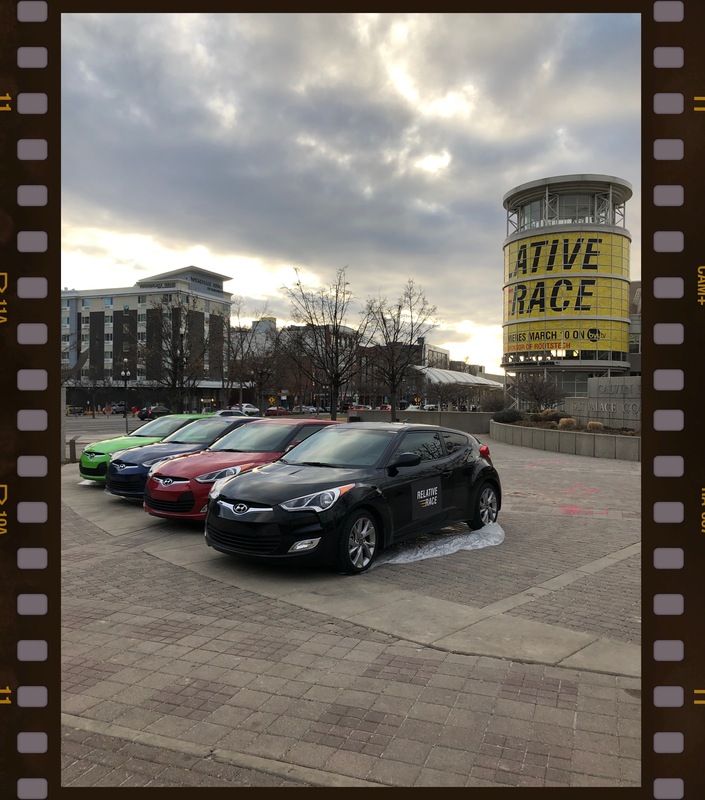 On Thursday, February 28th at 4:30 p.m. Dan J. Debenham, host of Relative Race, as well as teams from Season 5 will will present in 250A of the Salt Palace Convention Center. For those #NotAtRootsTech, enjoy live streaming beginning at 9:30 a.m. The keynote address by Steve Rockwood, CEO of FamilySearch beginning at 4:30 p.m.
Just in case live streaming captures your interest to the point you want to travel to the venue, day passes are available at RootsTech.org. Benefits include the amazing Expo Hall, interactive displays, expertise to answer your individual questions and the association with those who are as passionate as you about family history and genealogy. But, if you’re #NotAtRootsTech and live streaming, recorded sessions, and the virtual pass will not answer your questions, contact me. I will take your question to the designated person or booth to see what they can do and get back with you. Whether at #RootsTech or #NotAtRootsTech, have a marvelous day! 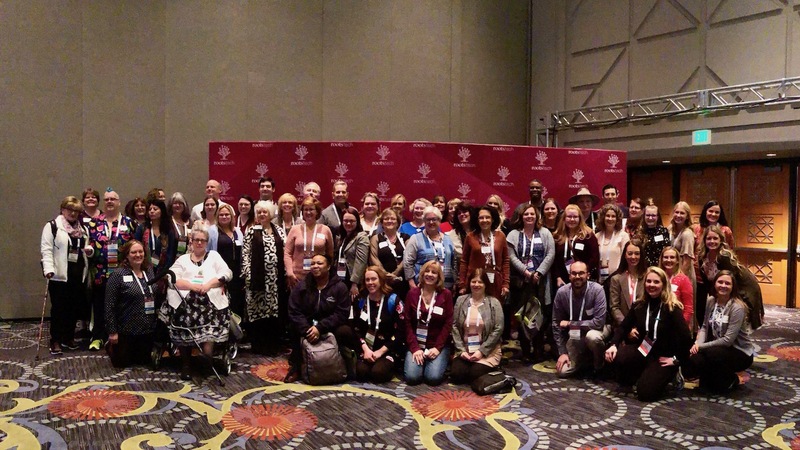 The RootsTech team announced today that the conference will be receiving attendees from all 50 of the United States and from 37 different countries! It truly is an international event and there are plenty of ways to participate! Each year RootsTech improves on its direct communication to its vast audience. Whether you subscribe by email, follow on social media—like Twitter—and/or register for its blog, you are already in the know about this international conference. 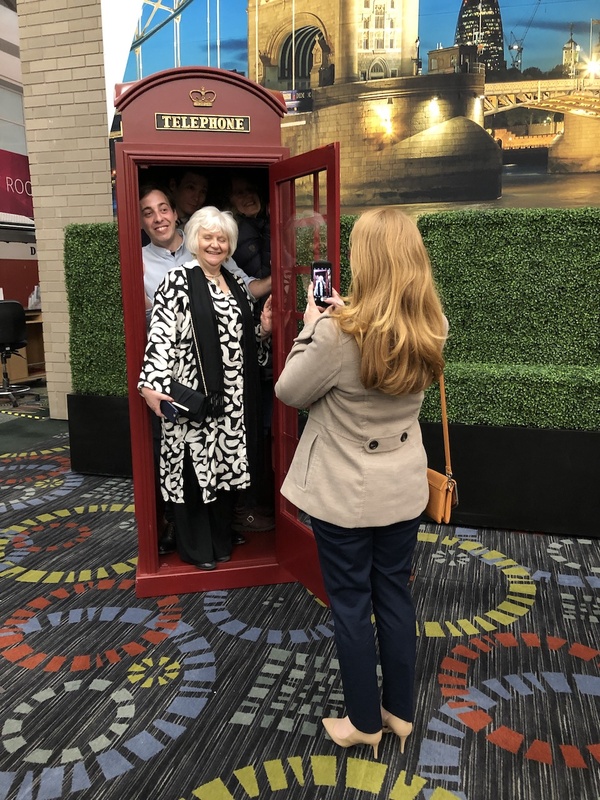 But, in case you haven’t heard, the RootsTech team has secured some great keynote speakers this year, over 300 sessions to attend, an amazing Expo Hall—the genealogy-technology Mecca, with a few additional opportunities and services. First, the keynote speakers this year are FamilySearch’s own Steve Rockwood, Patricia Heaton, Saroo Brierley, and Jake Shimabukuro. I remember Steve Rockwood’s first keynote address as CEO of FamilySearch at RootsTech 2016. I wrote about it for the FamilySearch blog. Maybe you remember it, too. 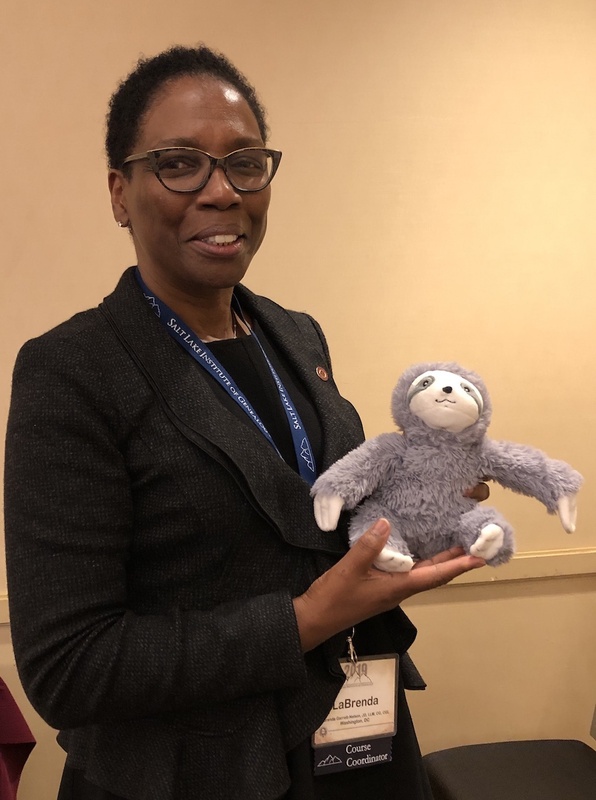 He suggested that family historians are heart specialists that can bring deep and meaningful experiences to our families. This year’s theme is still a mystery, at least for me. 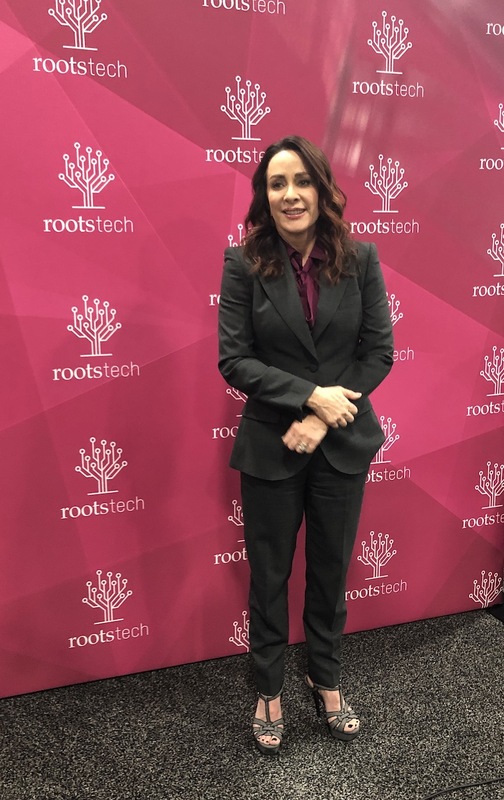 On Thursday Patricia Heaton will be the RootsTech guest keynote. Also known as Debra Barone from the hit television series, Everybody Loves Raymond, Patricia carved out her place as a star when, in 2000, she was the first to win a Primetime Emmy among the cast with an encore win the following year as the Outstanding Lead Actress in a Comedy Series. In 2002 she published her book, Motherhood and Hollywood: How to Get A Job Like Mine. As her career advanced she received a star on the Hollywood Walk of Fame in 2012! 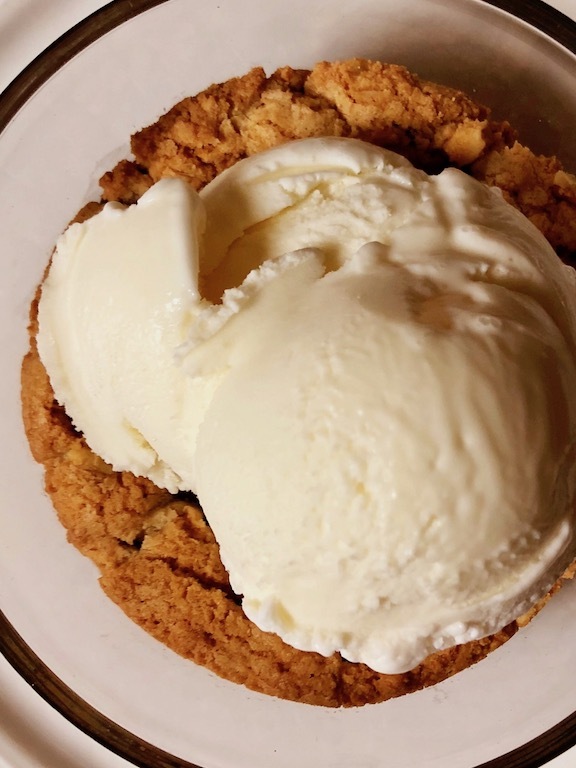 She followed this with a series on the Food Network, Patricia Heaton Parties, that won her the 2016 Daytime Emmy for Outstanding Culinary Program. Recently she published a cookbook, Patricia Heaton’s Food for Family and Friends: 100 Favorite Recipes for a Busy, Happy Life. Saroo Brierley will join the stage on Friday. If his name is unfamiliar to you, check out Netflix, or another source, and watch the movie Lion before Friday. Based on his 2014 book, A Long Way Home: A Memoir, this is an amazing story that has touch so many hearts. It depicts the longing for family, even when among loved ones, and how technology played a part to unite him with family over the miles and through the years. Nominated for 6 Academy Awards, including Best Picture, some have suggested that a person watch this movie with a box of tissues, some have wished that they invested in Kleenex, but I find this movie heartwarming and endearing. On Saturday Jake Shimabukuro will be on stage. While I do not know if he’ll play “While My Guitar Gently Weeps,” a song posted to YouTube that went viral before he knew of YouTube, I’m sure that the RootsTech audience, both onsite and virtual, will be in for a real musical treat. His latest recording is The Greatest Day. A ukulele sensation, who knew? 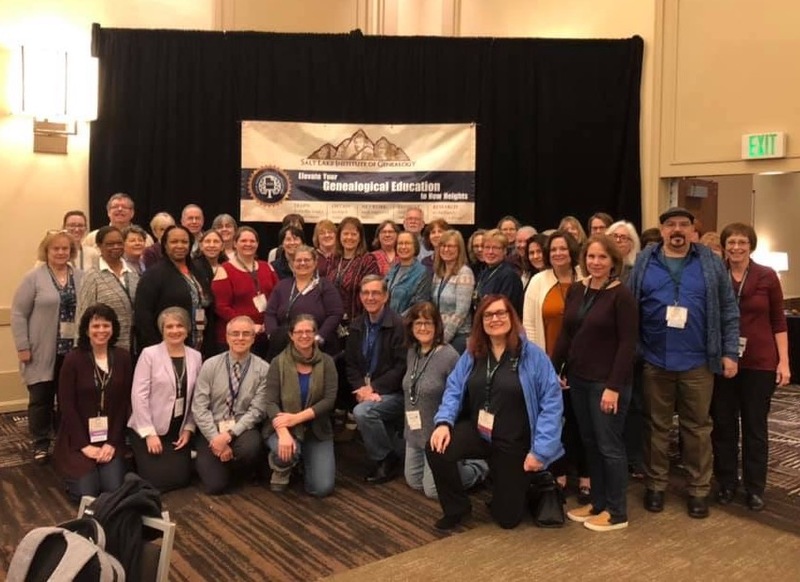 I’ve said it before, the RootsTech team brings together individuals whose life experiences and successes are varied. RootsTech has brought in speakers from the tech industry, the science community, the writer’s circle, the political realm, the entertainment industry, the sports arena, the bloggers’ sphere and, of course, the field of family history and genealogy. I have never been disappointed! MATERIAL AVAILABLE FOR OVER 300 SESSIONS, SO DOWNLOAD THE APP! Whether you’re onsite, participating virtually, or just plan to catch the recorded sessions as time allows, this app is for YOU! Available for iOS and Android, the ratings do not seem to reflect my experience. It’s been a great resource! There are handouts for many sessions that you can download to your device or email to yourself. If you need a printed copy, you can do that, too! The app is updated about every hour so if there is a discrepancy between the website and the app, go with the information on the app. The full conference schedule is available with the ability to star each session that you’re inclined to attend and this will add the session to your personal schedule. (Even with the live-streamed sessions, the recorded sessions, and the virtual pass, I have one hour with five possible sessions to attend.🤫) You can share this information with friends, take notes for the session and, finally, rate the session once you attend it. Not sure which session would be ideal for you? Sometimes it’s a challenge, but consider your personal family history goals, check out the speakers’ bios, and review the handouts. This should help you make an informed decision. With all of the session information transferred to “My Schedule,” you can then set up reminders so that you can stay on track. Tyler Stahle shows you how in this Road to RootsTech video. You can also added to your schedule meetups from various organizations and groups with whom you associate. There are other interesting aspects to the RootsTech app so take the time to explore it. Just a hint for those who identify themselves with more than one first and/or last name—when filling out your profile, your name will be alphabetized by the first name you place in the surname field. Two-surname individuals may be difficult to find if they place both surnames in the surname field, but go by their last name, such as Elizabeth Garrett Anderson. If Elizabeth goes by the surname “Anderson,” Elizabeth would place “Elizabeth Garrett” in the first field and “Anderson” in the surname field. But, if Elizabeth goes by the surname “Garrett Anderson,” she would place “Elizabeth” in the first field and “Garrett Anderson” in the surname, or last name, field. Then, under the “Attendees” section of the app, your friends can find you where they expect to find you. There’s been some confusion about the “Attendees” and “Speakers” alphabetical listings in the app, so check both places if you can’t find someone. EXPO HALL: IT’S A GENEALOGY-TECHNOLOGY MECCA! 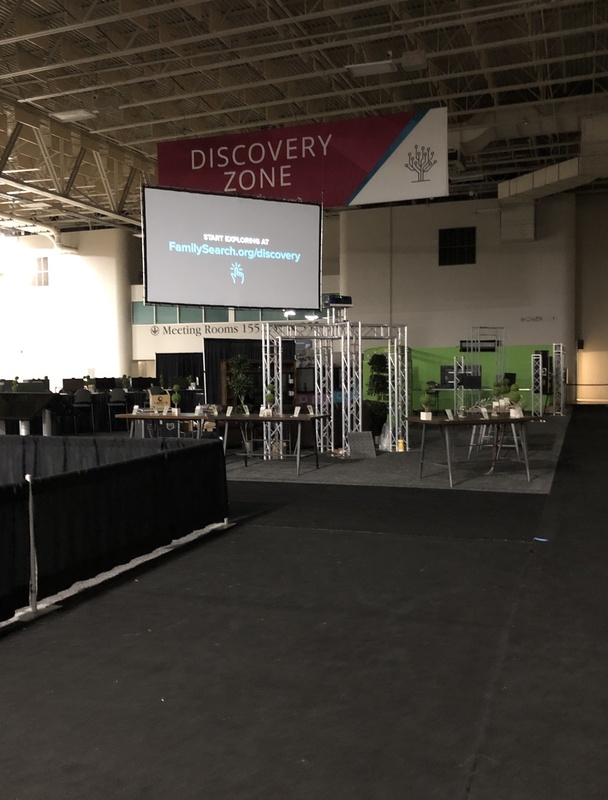 If you haven’t been to the Salt Palace, this Road to RootsTech video will give you an idea of the expansive area that houses the latest in genealogy and technology products to assist you in your research. In all of my years attending this conference and its predecessor, I can offer this advice: be prepared to buy, but don’t be sold! There are many useful products and subscriptions to purchase, but know what will best suit your research plan and budget. With that said, RootsTech is one of the best places to purchase genealogy software, subscriptions, DNA kits, and a few crafty items to decorate your home. FOR THOSE #NOTATROOTSTECH, HERE’S THE LIVE-STREAM-AT-A-GLANCE CHART: These live-streamed sessions will be recorded and available after the conference. 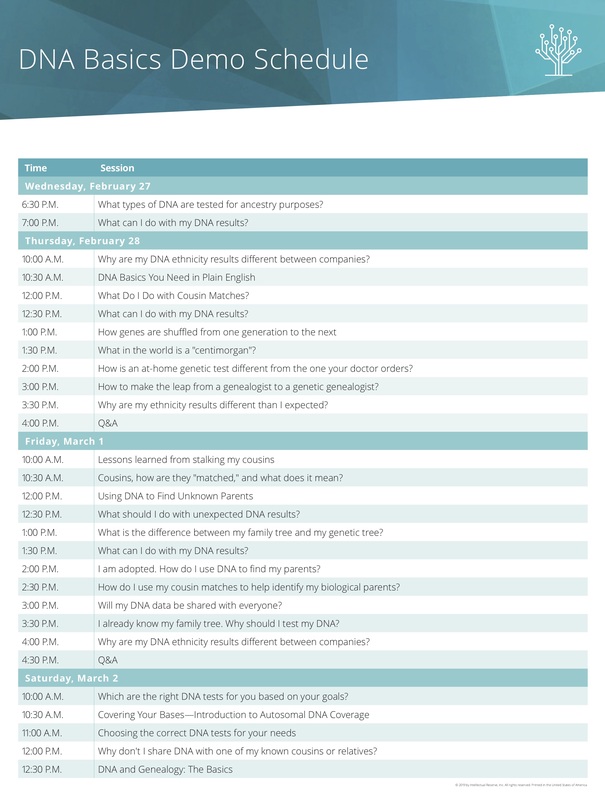 There are also other sessions that will be recorded, so if you are at the Salt Palace Convention Center and deciding between 2 or more sessions, scroll down and check this list at RootsTech.org. It may help you in making your decision onsite. These sessions are being recorded, but not live streamed, and will be available to everyone shortly after the last day of the conference. 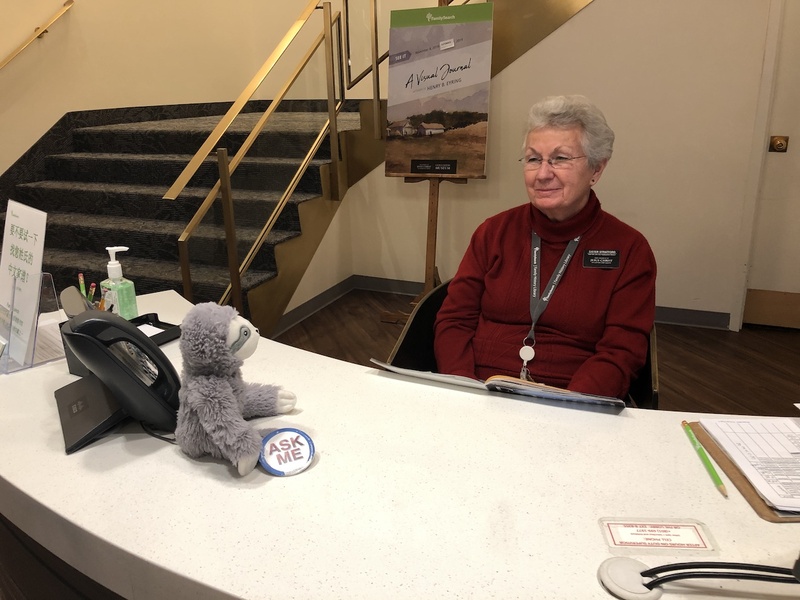 I have placed them in a table to view at a glance for your convenience: This table is accurate at the time of publishing, but the RootsTech app is updated hourly so confirm any information that is important to you. 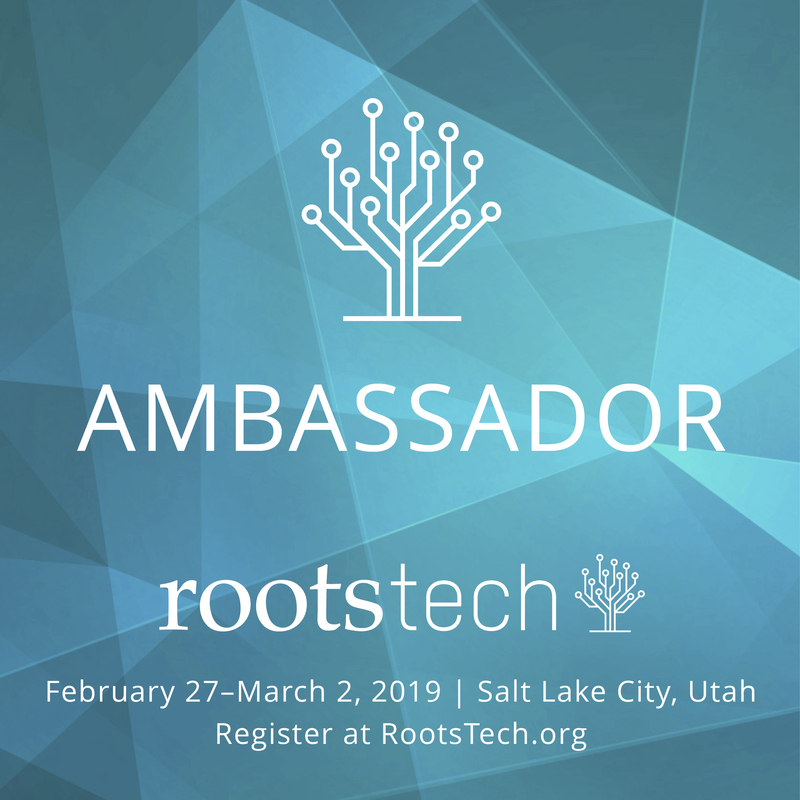 There is so much more that is being offered at RootsTech this year, but let me mention one last option for participation. If you cannot make it to Salt Lake City to be onsite, if the live streaming and recorded sessions leave you wanting more, there is the virtual pass. It is a stand alone pass for those not attending the conference and a discounted add-on if you are attending onsite. This pass can be purchased up to 2 months after the conference. These sessions will be posted 10-15 days after the conference. Those registered will receive notice of availability by email. 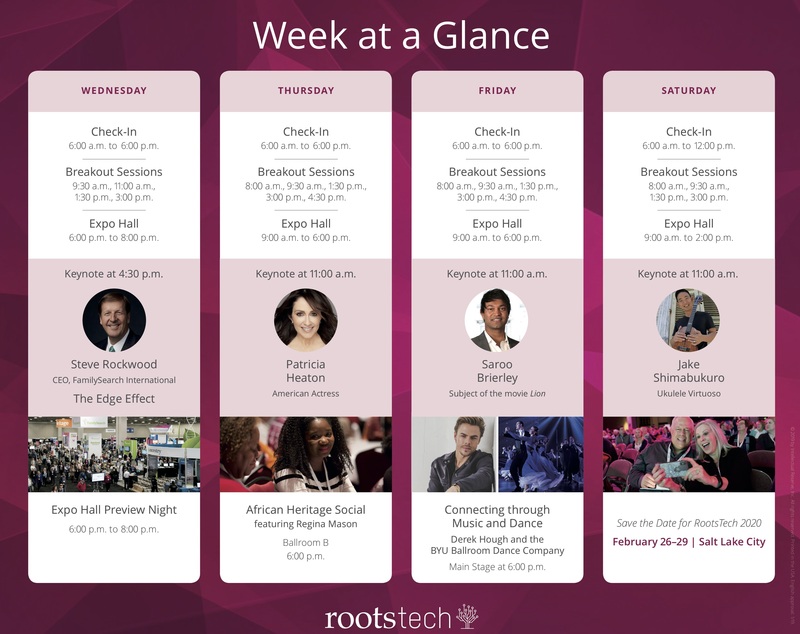 The individual may view any of the 18 sessions up to one year from RootsTech 2019. 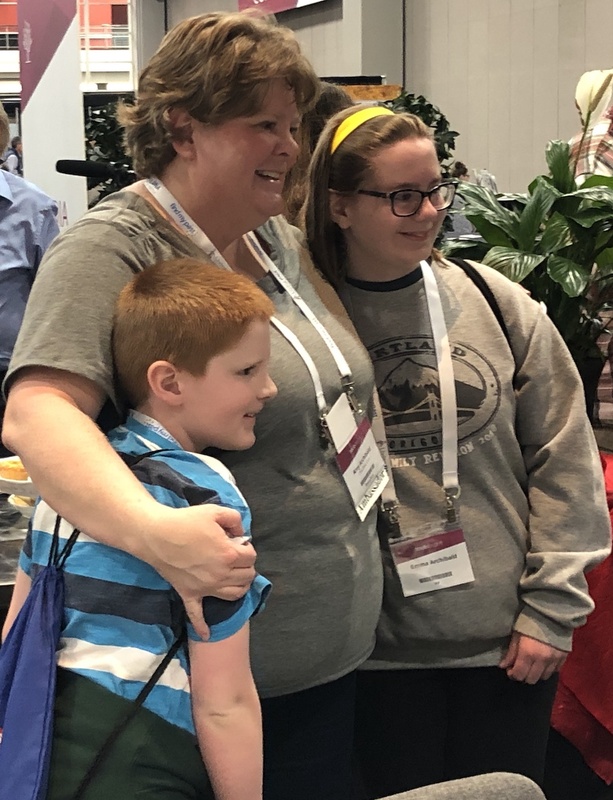 However you will be participating in RootsTech 2019, enjoy this opportunity to further your education in the pursuit of your family tree! I’ll do my best to keep you posted! Disclosure of Material Connection: Although there is no additional cost to you, as an Amazon Associate I earn a small commission from any qualifying purchases if you click on the product links. It’s been a hectic and joyful holiday season. As many rush to fulfill New Year resolutions, I prefer to ease into the month of January. 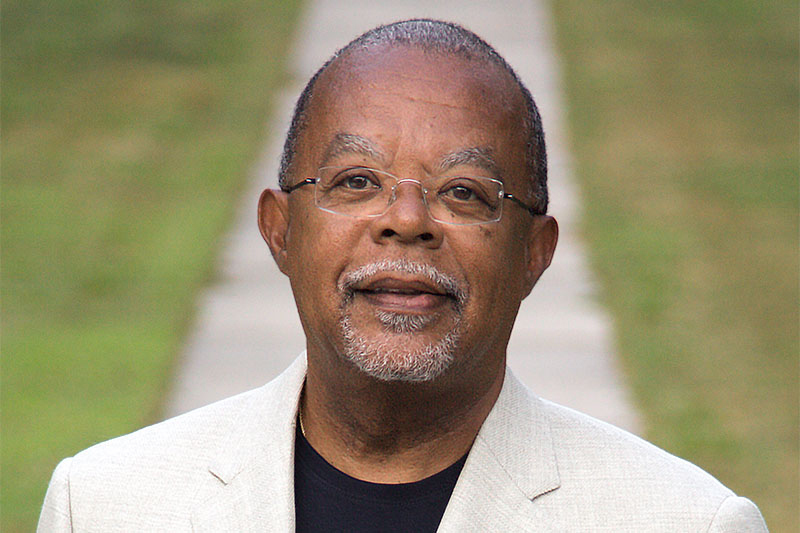 This year I’ve been looking forward to easing into the new year with Finding Your Roots hosted by Henry Louis Gates, Jr. He’s back with Season 5 of his award-winning PBS show to introduce 25 notable guests and their genealogies over a 10-week period. Each episode has a theme and Dr. Gates will introduce each guest to their “Book of Life.” If you like stories, you’ll love this show. The reveal through the “Book of Life” demonstrates the possibilities of what a person may find when they pursue their family history. Each episode is worth watching! The show is scheduled to air tonight at 8 p.m. ET, 7 p.m. Central and Mountain Time, but check local listings. I learned this morning that KUED, the PBS station originating from Salt Lake City, will push back its scheduled airing of this episode from 7 p.m. to approximately 7:30 p.m. to allow for the U.S. President’s prime-time address and the U.S. Democratic response, which will be covered by the PBS NewsHour. Episode 1 is titled, “Grandparents and Other Strangers—The Stories Encoded in Our DNA.” It features Andy Samberg, a member of the comedy music group, Lonely Island (@thelonelyisland), and a former cast member of Saturday Night Live. It also features George R. R. Martin. Mr. Martin, (@GRRMspeaking), tweeted about this episode saying, “…I’m not the man I thought I was …” You might know his work The Game of Thrones, which was awarded the Emmy for Outstanding Drama Series in 2018. Episode 2: Mystery Men with Felicity Huffman and Michael K. Williams. Episode 3: Reporting on Reporters—Truth Tellers with Christiane Amnapour, Ann Curry, and Lisa Ling. Episode 4: Dreaming of a New Land (Between Worlds) with Marisa Tomei (Italian roots), Sheryl Sandberg (Russian roots), and Kal Penn (Indian roots). Episode 5: Freedom Tales with S.Epatha Merkerson and Michael Strahan. Episode 6: Roots in Politics with Paul Ryan, Tulsi Gabbard, and Marco Rubio. Episode 7: No Laughing Matter with Seth Meyers, Tig Notaro, and Sarah Silverman. Episode 8: Hard Times with Michael Moore, Laura Linney, and Chlöe Sevigny. Episode 9: Eye of the Beholder with director Alejandro G. Iñárritu, artist Marina Abramović, and painter Kehinde Wiley. Episode 10: All in the Family with Ty Burrel and Joe Madison. The final episode will feature a summer camp for children that uses genetic genealogy. Check out Finding Your Roots: The Seedlings,filmed at Penn State University, and follow 13 youth explore their family histories. A curriculum for teachers is available to download and customize for their classrooms. Additionally, Henry Louis Gates, Jr. gave the keynote address at RootsTech 2018. It is still available to view at your leisure. 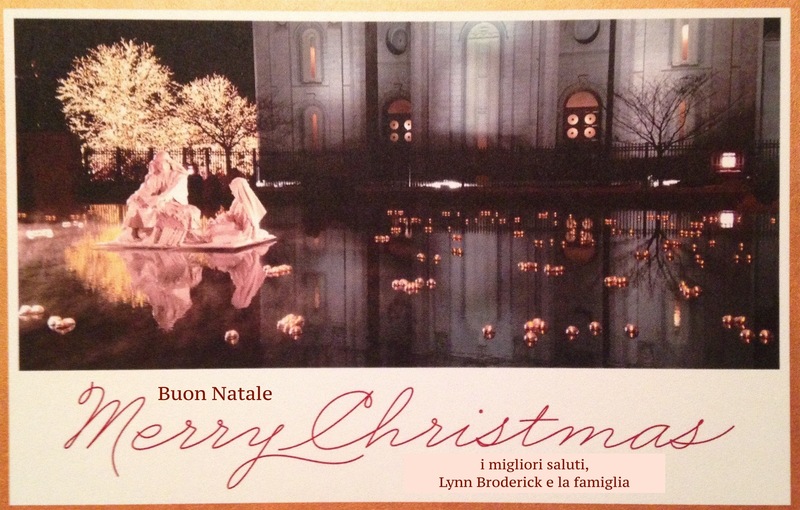 Until next time … All the best in the New Year! 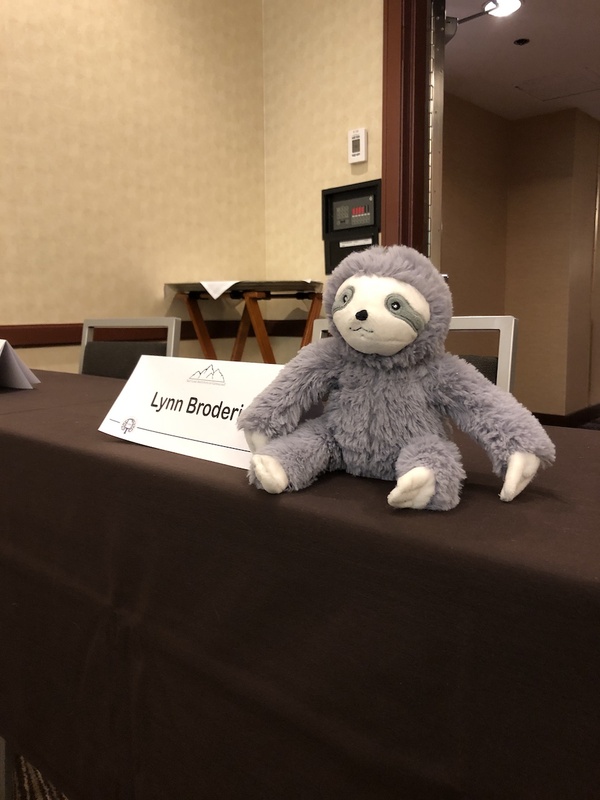 Copyright ©2019 Lynn Broderick, a.k.a., the Single Leaf. All Rights Reserved.